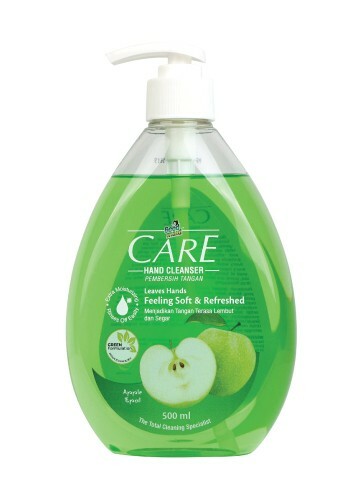 CARE Hand Cleanser - Goodmaid Chemicals Corporation Sdn. Bhd. This gentle cleanser is a proper hand care solution that is suitable for delicate hands and effectively helps to restore moisture, smoothness and suppleness. • This moisturizing hand cleanser is infused with different types of refreshing and invigorating scents that are sure to tantalize your senses, while taking care of your hands. • Pump out adequate amount onto your palms, lather and rinse thoroughly with water.